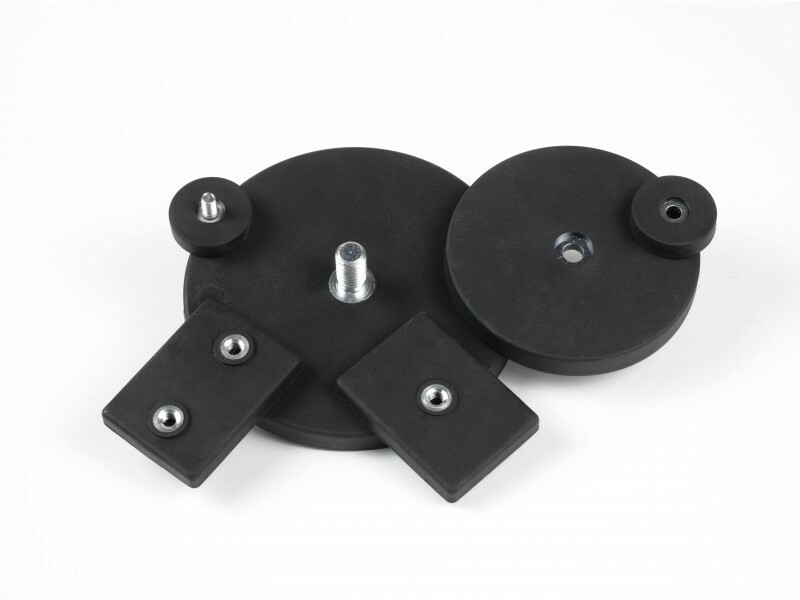 The multiple pole design of these rubber coated Neodymium (NdFeB) pot magnets ensures a dense shallow magnetic field on the holding surface. 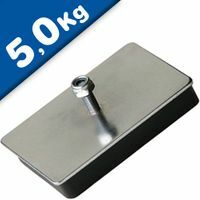 This allows for excellent holding onto thin, lacquered car body metal. 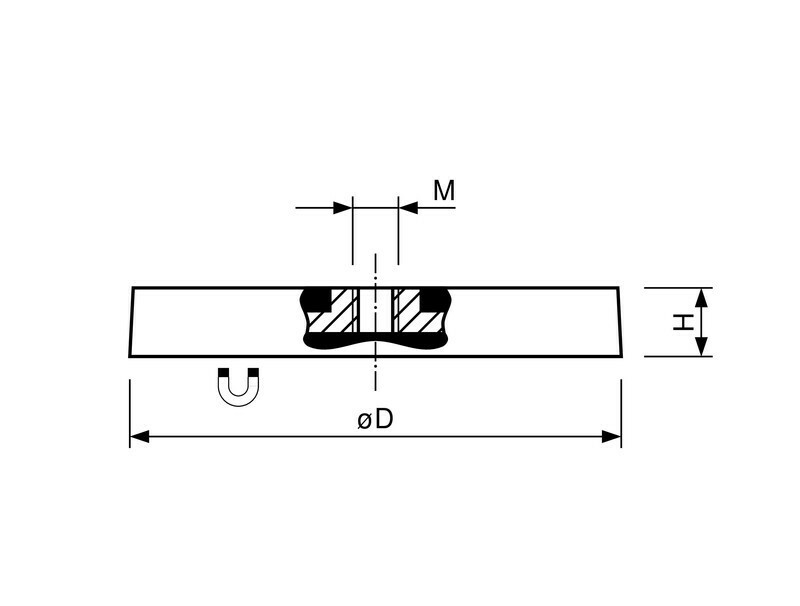 The sideways displacement (sheer forces) are extremely good due to the suction effect of the rubber surface. 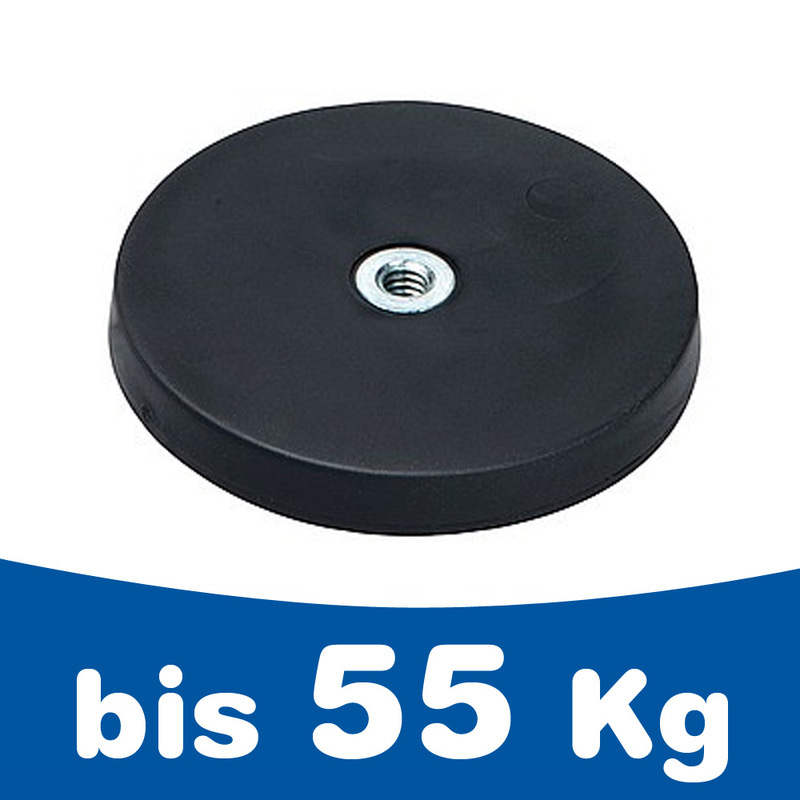 Maximum recommended operating temperature is 60 degrees Celsius. 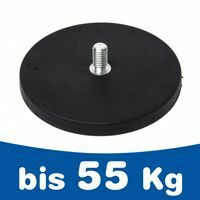 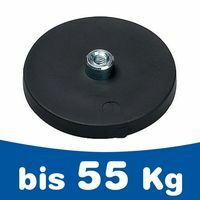 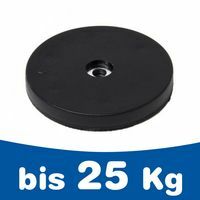 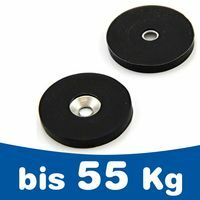 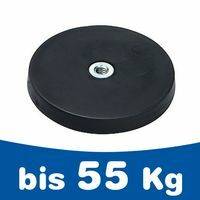 These rubber coated Neodymium (NdFeB) pot magnets are especially suitable for magnetically fixing objects such as advertising displays or safety blinkers onto car roofs (the metal work must have a mild steel content - aluminium or carbon fibre surfaces will not work). 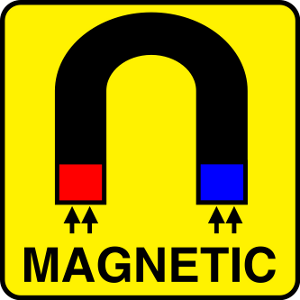 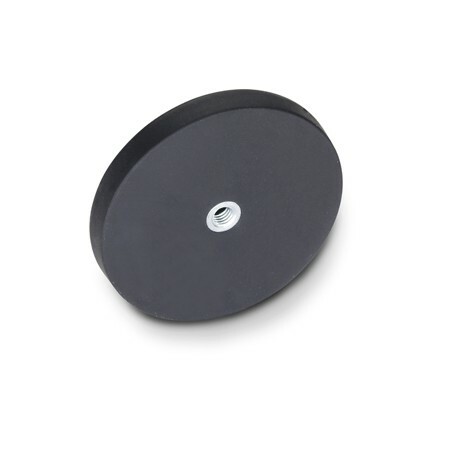 The rubber coated Neodymium (NdFeB) pot magnets are also suitable for fixing signs, plates, temporary lightings and sample parts scratch-free onto highly polished chrome-plated or painted mild steel (ferrous) surfaces. 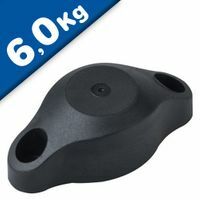 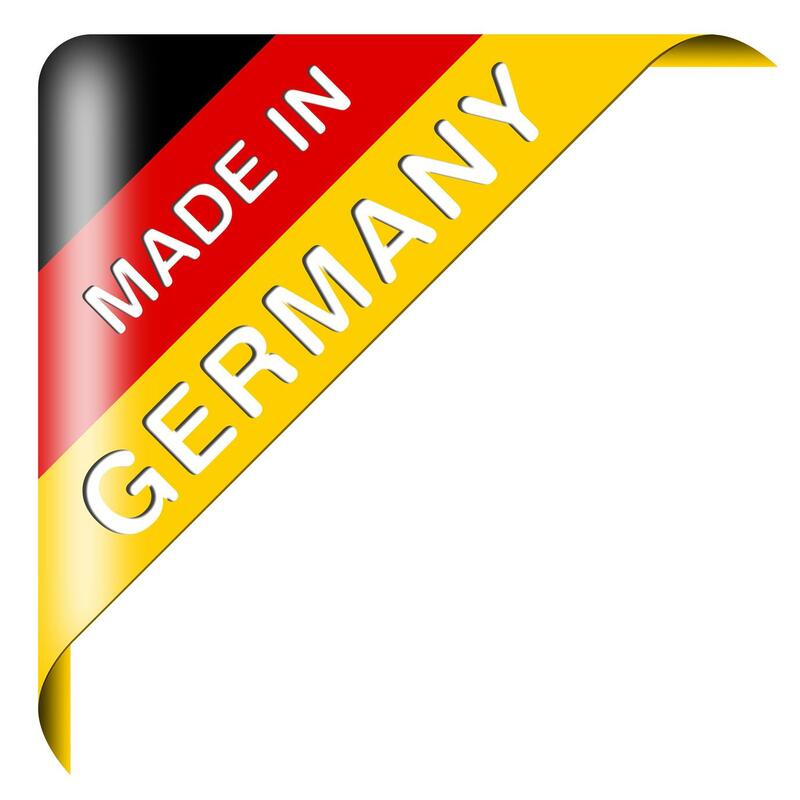 The rubber coating also provide a good level of corrosion protection in humid conditions. 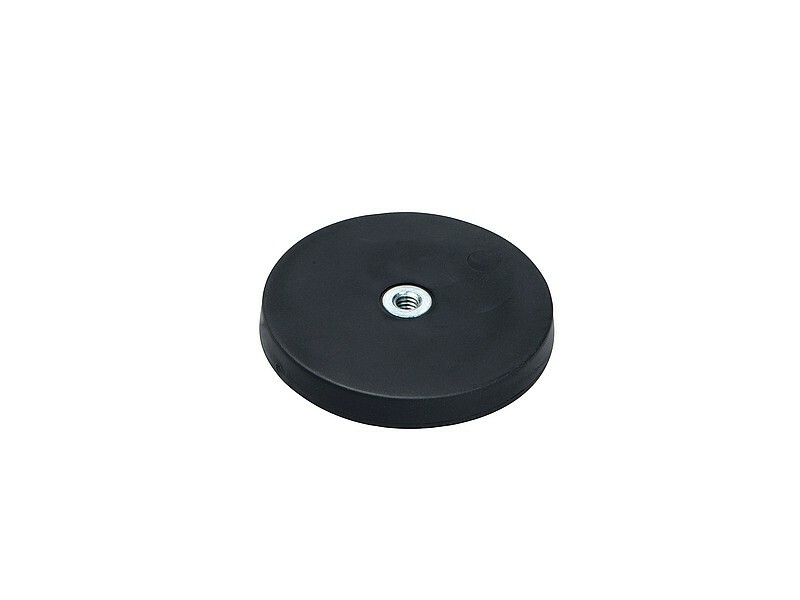 Because of their high performance, slide resisting properties and paint work protection ability, these rubber coated Neodymium (NdFeB) pot magnets are sometimes also known as Boutique Magnets.